I purchased the watch because I wanted to invest in a "quality" time piece. I don't make purchases based on brand names. The watch is very attractive to me, however, it is about an 1/8 or 1/4 inch too snug around the wrist. I carried it to a local jeweler for "sizing". I was told to contact Michael Kors directly. They are suppose to send me a "complimentary" link to expand the band. I think they give up to 2 free links. I am very happy with my purchase! Iconic designer Michael Kors is one of the top names in American fashion, with fashion forward styles and bold designs. 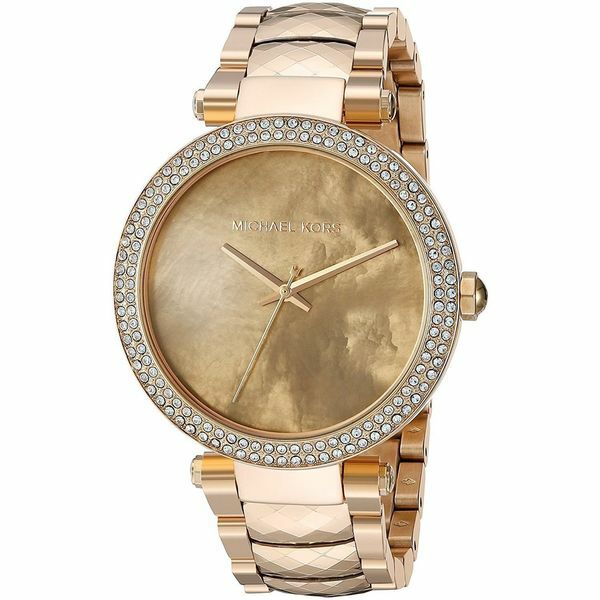 This women's watch from the Parker collection features a gold-tone stainless steel bracelet and mother of pearl crystal dial.